Large timber camps in the area, a mill, a cart with a donkey and an English immigrant with a good idea: those are the ingredients that formed the basis of the success of Woolrich more than 180 years ago. John Rich built his first mill in 1830 in Pennsylvania (United States) to sell his woolen fabrics, socks, blankets and yarns to the loggers around the village. In 1845, Woolrich moved to the location where it grew into a worldwide icon: the village is now called Woolrich and the fashion brand still has its headquarters in the village. Woolrich survived the era of world wars and the Industrial Revolution, while the American people loved the extraordinary quality of the material more and more. 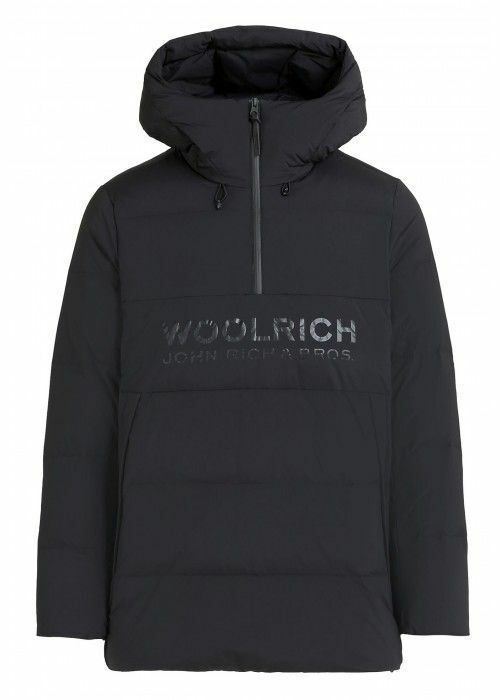 The brand provided blankets for the soldiers during the Civil War, was the main supplier of the garments and carpets in luxury cars and steam trains and in 1939 Woolrich was officially contracted by the U.S. government to provide outfits for an expedition to Antarctica. Today, Woolrich is a lifestyle icon for ladies and gentlemen. The brand has a large collection of clothing, made of pure luxury and exceptional quality. Inspired by the rugged outdoor, Woolrich not only manufactures coats, parkas, vests, scarves, polo shirts and sweaters, but also products such as furniture, blankets and authentic accessories. Despite the excellent, high-tech materials and advanced technologies, the classical values of the brand are still very important. Industrial collections, designed more than a hundred years ago, are still proudly developed and marketed. Connoisseurs understand our love for the fashion label, the first touch of the beautiful clothing feels like pure love!